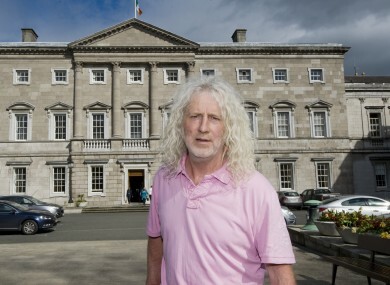 The bill is being tabled by Mick Wallace and is under discussion by Cabinet today. DEPUTY MICK WALLACE has tabled a bill that would allow terminations in the case of fatal foetal abnormalities. The bill has already caused a rift in Cabinet, which is due to discuss the legislation again today. Despite the Attorney General’s advice that the bill is unconstitutional, Transport Minister Shane Ross and super-junior minister Finian McGrath have indicated they will support it. The Independent Alliance has asked for a free vote on the bill, meaning its members could vote however they want. But Cabinet is expected to have collective responsibility, meaning the issue is far from clear-cut. Fine Gael ministers have said they will vote against the bill because of the Attorney General’s advice. However, what do you think: Should TDs get to vote how they want on fatal foetal abnormality bill? Email “Poll: Should TDs get to vote how they want on the fatal foetal abnormality bill?”. Feedback on “Poll: Should TDs get to vote how they want on the fatal foetal abnormality bill?”.